Anne McCue On Mountain Stage Hear a short set from this Australia native, recorded live in 2007 on Mountain Stage. Anne McCue performed on Mountain Stage in 2007. Australian alt-country singer-songwriter and guitarist Anne McCue is heard here in a performance recorded in 2007 in Charleston, W. Va.
An expressive singer and strong guitarist, McCue spent the early part of her career in an all-girl hard rock band. She then accepted an offer to spend a year in Vietnam, where she performed almost every night, toting her guitar around on the back of a 1965 Vespa, "just like the locals." Soon, McCue found herself touring the U.S. and Canada as part of Lilith Fair. In 2006, she released Koala Motel, which featured contributions from a diverse palette of artists, including X's John Doe, Ann Wilson of Heart, Lucinda Williams and Jim Lauderdale. 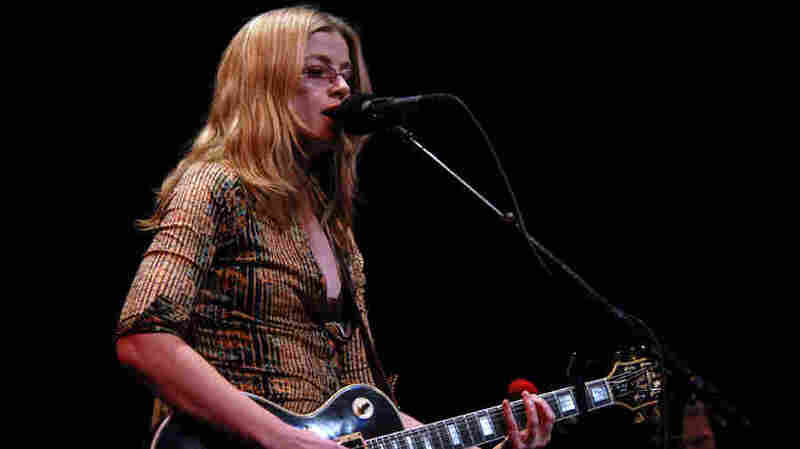 In 2008 McCue released East of Electric, which she recorded and produced at her own Flying Machine Studio in Nashville, and followed that with 2010's Broken Promise Land and a DVD, Live in Nashville.